The vibrant geometric shapes set on deep turquoise makes a bold and fun statement in any bedroom. The medallion pattern featured on the Alegria Comforter Set is a modern twist on the traditional motif found throughout Latin art and architecture. 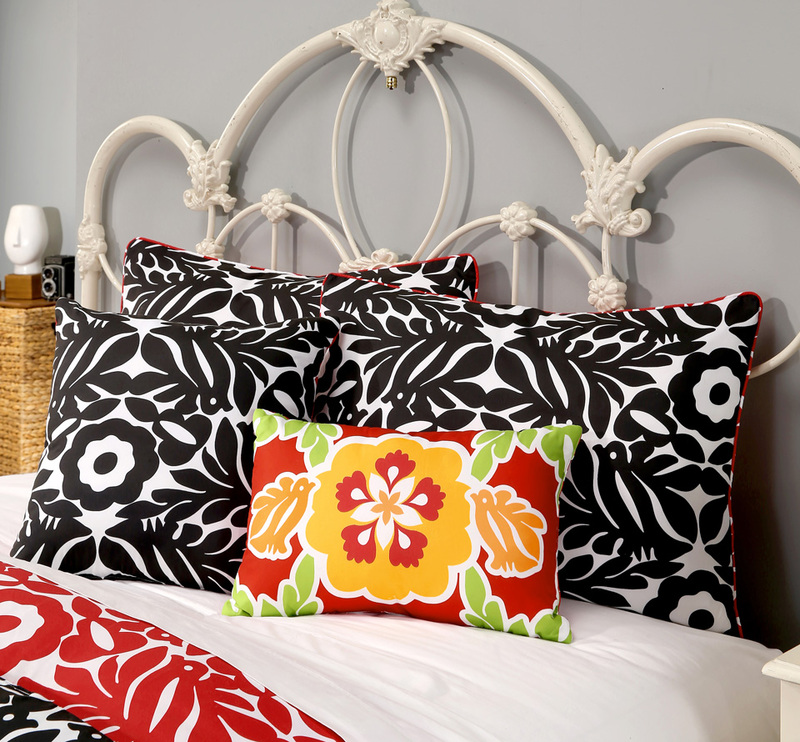 The included decorative pillows add bursts of color and texture to complete the bed. This 7-piece set includes a comforter, 2 shams, 3 deck pillows, and a bed skirt.